Last year we were really pleased to be able to introduce our new environmentally friendly Janitorial Supplies range! The products we use are from award-winning companies who manufacture cleaning chemicals and consumables using plant based, sustainable and biodegradable ingredients, which are phosphate and phosphonate free. Going ‘green’ doesn’t sacrifice performance. The range we use protects the cycle…the ecological cleaning chemicals have minimal effect on the environment, thus reducing the risk to water and soil for the growing of the crops and the rearing of animals destined for human consumption. Packaging is 100% recyclable plastic, with eco-friendly labels and glue, reusable trigger bottles save money and plastic going to landfill. We are able to offer a full range of environmentally friendly cleaning chemicals from multipurpose surface cleaner to toilet descaler, biodegradable bin bags and sustainable paper towels and toilet rolls. We are even able to offer an air freshener dispenser unit that does not use harmful aerosols or require batteries! There is a common misconception that recycled paper is more eco/environmentally friendly than virgin paper, the recycling process actually uses more energy than creating paper from virgin fibres. Paper fibres can only be recycled so many times, as the fibres become shorter each time and virgin paper eventually has to be added to the pulp. The range of recycled papers we do offer do not use harmful glue to stick the fibres together, which means no blockages and more sustainability. The virgin papers we offer are from sustainable companies and they do not use the ‘airlade process’ to make them soft and fluffy as this is extremely power draining, instead they use embossing to keep sheets together naturally. We are able to offer either degradable/bio-degradable bags, which break up into smaller pieces and they can then be recycled back into products or go to landfill, they can eventually return to the soil but not for many years. The compostable bags we can offer will break up entirely and return to the soil at landfill. We offer soaps, which are SLS and paraben free, which are preservatives used in soaps that are harmful on the skin and the environment. With the plant based, biodegradable and super concentrate ingredient containing chemicals, they will cause no harm to the environment and will require less need to keep restocking resulting in less miles being carried out on the roads. 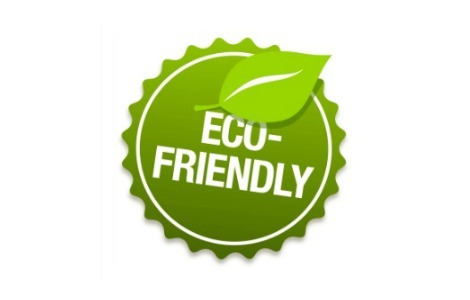 Our environmentally friendly ethos extends beyond our janitorial supplies…. Even the washroom company we use to supply all of our sanitary units across the company use biodegradable chemicals throughout all of their services, and regularly assess their supply chain for green credentials ensuring a low carbon footprint at all times. We always ensure that staff using our fleet of vehicles use a route that entails visiting sites or dropping off stock to places that are all nearby to each other to ensure a low carbon footprint at all times. We also ensure that all of our staff are recruited by ease of location to them, reducing the need to drive and instead walking, cycling or using public transport.